Goal: Reduce tobacco use among youth and adults, targeting all products of tobacco and focused on low-income populations. Faculty lead: Erika Trapl, PhD. 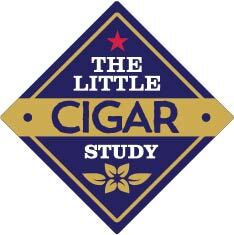 The Little Cigar Study is surveying little cigar smokers between the ages of 14 and 28 to better understand how, when, and why young people smoke little cigars. The main research of the Greater Cleveland CPCRN project is to implement a systems-focused community-clinical linkage intervention to increase use of the evidence-based state QuitLine for smoking cessation through the implementation of an e-referral system. This research seeks to understand the characteristics, risk factors, and and correlates of adolescent and young adult tobacco use in order to develop successful tobacco prevention and cessation interventions. Breathe Free is a demonstration project funded by the Ohio Department of Health that uses teams of residents trained as community organizers to help change the cultural conversation around smoking in their neighborhoods. Breathe Free staff work with these resident teams to help implement policy, systems, and environmental changes based on their expert neighborhood knowledge. The eReferral and Teachable Moment project focuses on tobacco cessation assistance for primary care patients. The project is funded by the Patient-Centered Outcomes Research Institute (PCORI) and tests the combined effect of a systems change initiative and a communication strategy for providing smoking cessation assistance in the primary health care setting. The PRCHN was a key partner in the Cuyahoga County Comprehensive Tobacco Reduction Partnership (2002-2009), serving as a partner and evaluator, with specific funding to support five years of locally relevant BRFSS funding (2002-2007). Additionally, we partnered with the Ohio Tobacco Prevention Foundation (OTPF) to establish the Ohio Tobacco Research and Evaluation Center, which evaluated the statewide community grants program from 2005-2008.